Time to Report Potholes, Getting Ready for Potholepalooza | Park View, D.C.
Pothole on Warder Street in front of the school. 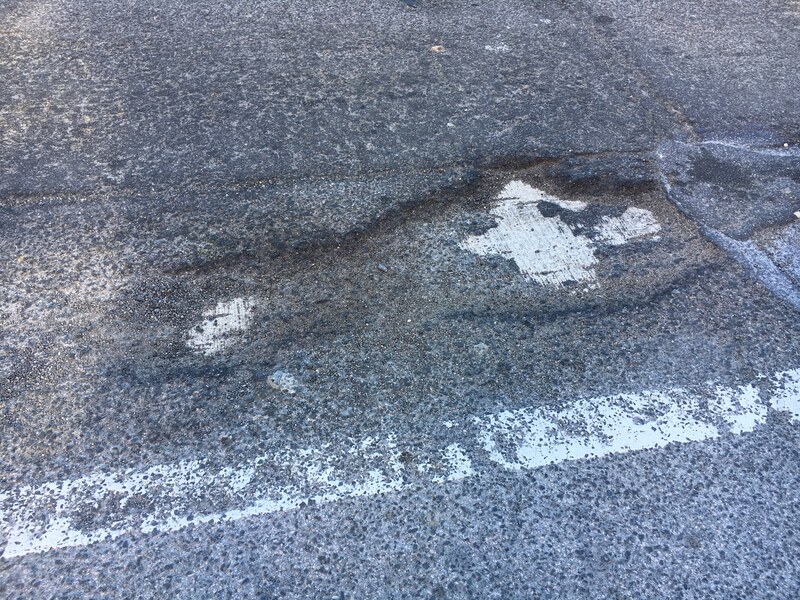 If the streets in Park View are any indicator, it looks like the extreme swings in temperature this winter have resulted in a bumper crop of potholes for the 2019 season. New Hampshire Avenue has a good number and the section of Warder Street in front of the school and recreation center are particularly bad. 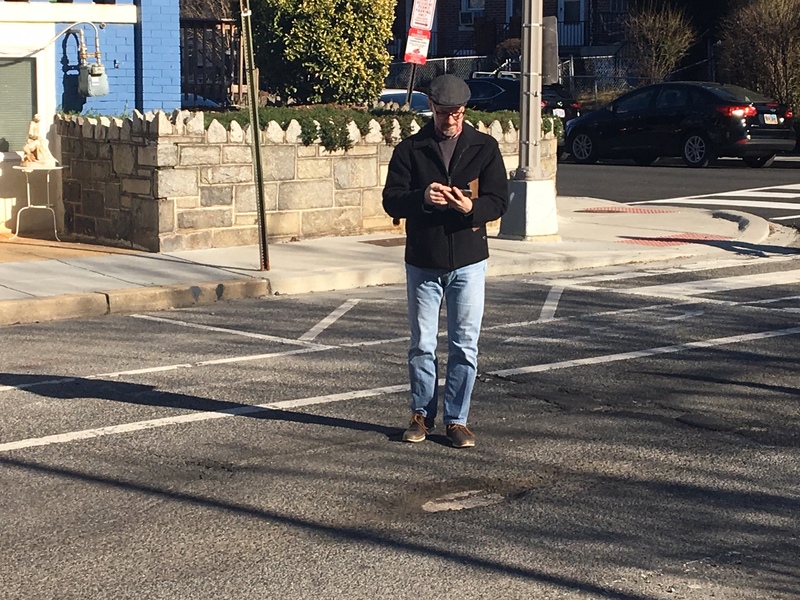 This weekend, I took some time to walk the streets, photograph potholes, and report them to the DC 311 system. As potholepalooza hasn’t kicked off yet, this seems like the perfect time to get these requests in so that our streets will be in good repair until next winter. Many may think of potholes as a nuisance to drivers, but more than that, they can slow down bus service and significantly impact bicycle and pedestrian safety. Potholes in crosswalks, for example, become trip hazards. As noted above, we have some severe potholes in front of the Park View School building and these need to be a priority on the repair list. Commissioner Boese out documenting potholes to report to 311 for service. The map below shows the areas where I found potholes thus far. I haven’t been able to walk every street yet, so if you see one on your street please add it to the 311 system. This entry was posted on March 18, 2019 at 9:30 am and is filed under DDOT, Restoration repair and maintenance, Streets and Trees. You can subscribe via RSS 2.0 feed to this post's comments. At the lowest hill point on Irving past GA are 2 3′ diameter 12″ deep ones and all the buses and trucks hit them at top speed…my house shudders and cracks.